Even You tells the story of two women, Jessie Friedman and Claire Bramany. When Jessie dies, her lover – Claire – uncovers hidden journals revealing Jessie’s long-buried secret of childhood sexual abuse. Shattered, yearning to reconnect with the Jessie she thought she knew, Claire sets out to find the predator – and wreak revenge. Now available to order online or at your favorite bookstore. 1. 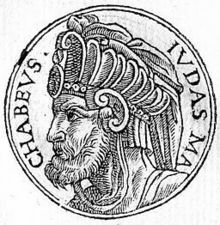 AKA Judah Maccabee, he was the third of five sons of Matathias of Modi’in, who initiated a revolt against the Seleucid king Antiochus IV Epiphanes, when that ruler sought to impose a Hellenistic way of life and worship on the Jews. 2. After his father’s death in 165 BCE, Yehudah, a Judean priest, assumed command of the resistance forces against the Greco-Syrian empire. 3. He led his troops to victory in stunning and tactically brilliant defeats over the Greek armies at Bet-Horon, Emmaus, and, ultimately, Mt. Zion. 4. He captured the Temple in Jerusalem and, in December of 164 BCE, purged it of all Hellenistic-cult paraphernalia, re-constructing it according to the specs in the Torah and reconsecrating it. 5. He made a treaty with the Roman Republic in 161 BCE – the first recorded treaty between the Jews and the Romans. After many additional victories in Gilead, Transjordan and Galilee, he was defeated in the field while fighting the Syrian forces. 6. He died in battle north of Jerusalem in 160 BCE and was buried in the family sepulcher in Modi’in. He was succeeded by his brother Jonathan; the descendants of his brother Simeon became the Hasmonean dynasty in Judea, where, as a result of their rebellion, the Jews were able to enjoy independence and the liberty to worship God according to their own lights. For a fuller and more elegant explanation of what happened, try Simon Schama’s The Story of the Jews. 7. So, if he was Yehudah ben Mattityahu, how did he become Yehudah HaMaccabi? 9. Maccabee is a sobriquet, meaning “hammer” in Aramaic. That’s one explanation. Another is that it’s an acronym for the verse Mi Kamocha Ba’elim Adonai, “Who is like unto you, oh God.” Or it might be an acronym for his father’s name, Mattityahu Kohen ben Yochanan. Or a shortened form of the Hebrew for “the one designated by Adonai.” Take your pick. 10. Many works of art have been created, written, sung and played about him. Among the most notable are the following: Handel’s oratorio “Judas Maccabaeus “; Beethoven’s theme and variations for cello and piano on a theme from the Handel oratorio; Longfellow’s five-act verse tragedy and many other poems and plays by writers in Hebrew and Yiddish; Howard Fast’s My Glorious Brothers published in 1948 during Israel’s war of independence, and still a good read today. 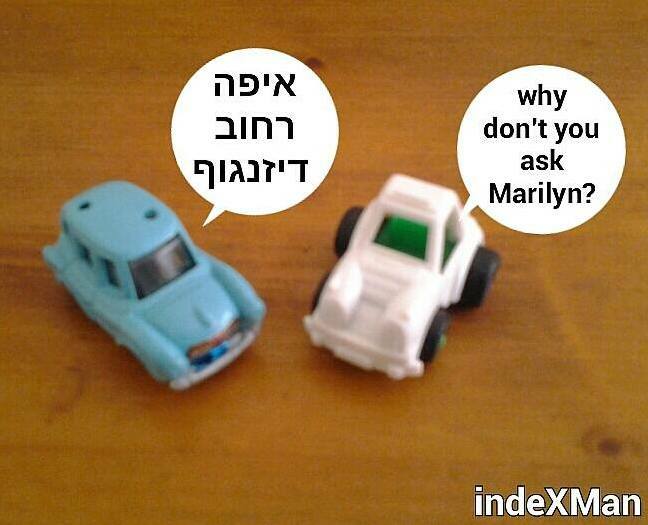 Thanks to Ido Biran telavivi for this photo. 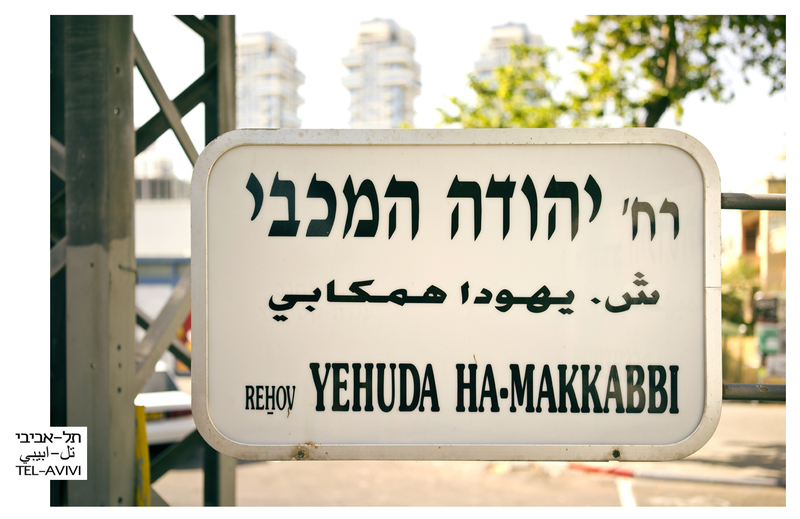 You’ll find Yehudah HaMaccabi (or Makkabbi) Street in Tel Aviv’s north end running east-west between Ibn Gevirol and Weizmann, just south of Shlomziyyon HaMalka. 2. There is no lane, alley, footpath, rut or trail of breadcrumbs named for me, either. 3. 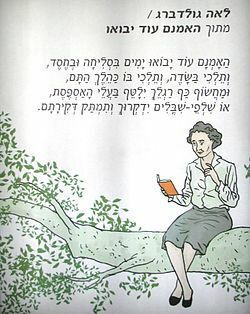 I write, I eat, I sleep, I read, I teach a little Hebrew to kids who don’t know any better…. 4. I have been posting this blog virtually every Wednesday since December 2012, much to my own satisfaction, and I hope to yours. Over 6,500 viewers have stopped by to read what I had to say. Many thanks to those of you who have sent me your comments and questions. 5. 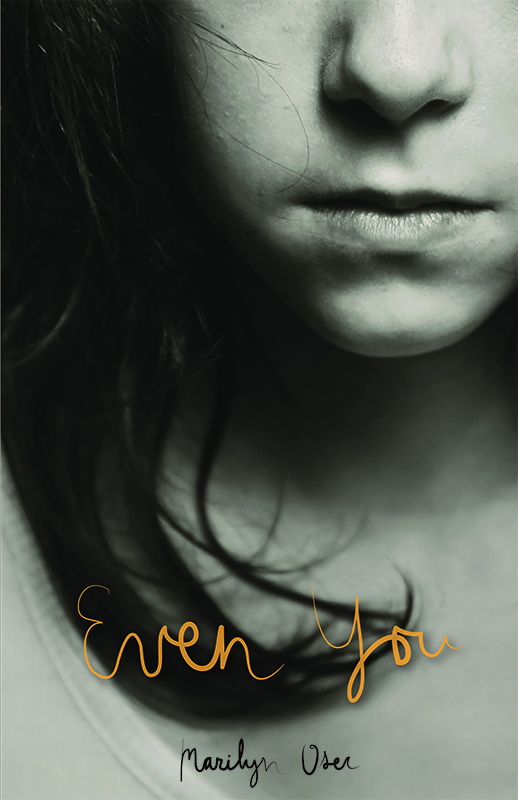 I have a new book coming out in the fall of 2015: Even You, a novel. Another book is in its second draft; and ideas for two novels after that are slouching toward my desk waiting to be born. 6. After two years and 97 posts, I need a breather. Next Wednesday, December 17th, will see my last post on this site – at least for a while. 1. David Pinsky was born in 1872 in Mogilev – now in Belarus – and spent his early years in Vitebsk, where he attended cheder. When he was thirteen, his family moved to Moscow, where his father supplied clothing and decoration to the military. There, he began secular studies. 2. In 1891, he went to Vienna to study medicine, but his father was expelled from Moscow the following year (as were all Jews). 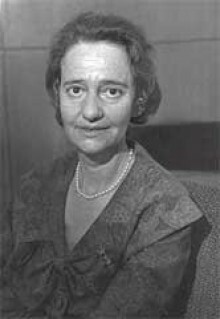 The family were ruined; Pinsky joined them in Warsaw and became employed as a teacher. As a boy, he had conceived the notion of becoming an actor, and at the age of twelve had written a play for two friends, which was staged in his grandmother’s apartment. Now, in Warsaw, he became the friend of Y.L. 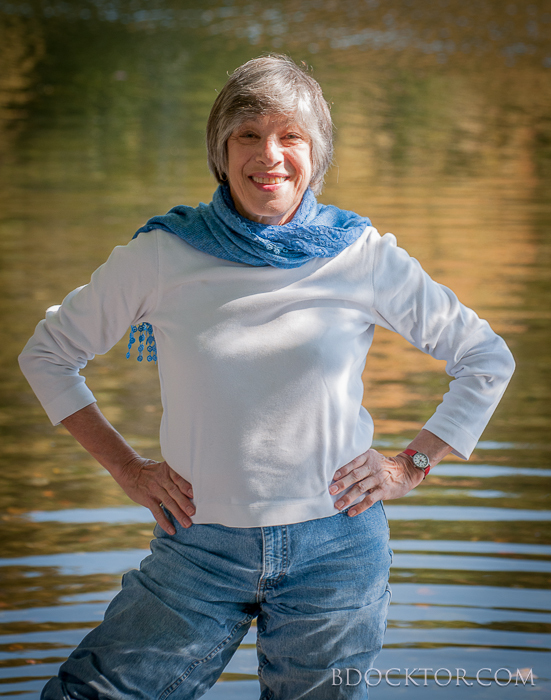 Peretz [see my post of 9/24/14] and embarked on a literary career. 3. His first short story, “The Great Philanthropist,” was published in 1894. 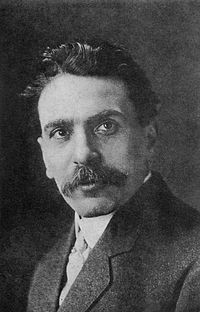 With Peretz, he established a publishing house with the aim of using literature to bring about a new social order for workers. He was the main contributor to two periodicals published by him together with Peretz and Mordecai Spector, publicizing socialist ideas. He joined the Bund, demonstrating his keen interest in the welfare of working people; and he became known among the elite Jewish writers in Warsaw. 4. By 1896 he was studying at the University of Berlin and writing for a Yiddish-American newspaper, Dos Abend Blatt (The Evening Paper), the official newspaper of the Socialist Workers’ Party. 5. In 1899, at the invitation of the editor of the paper, he moved to New York City, where he would live for the next fifty years. 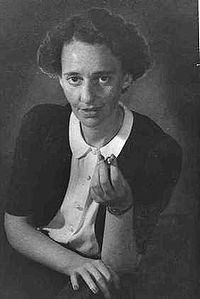 He was a contributor to, and editor of, fiction for Dos Abend Blatt, and he wrote for other socialist papers, as well. 6. He is remembered today primarily for his plays. 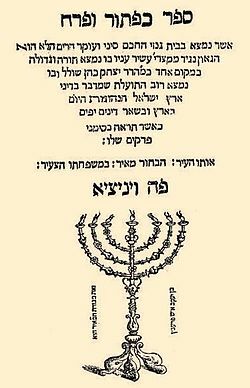 In 1904, The Family Tsvi opened in New York – a play depicting the conflicting forces of modernism and tradition affecting Jews and decrying the passive acceptance of violence against Jews. It is said that he ducked his qualifying exam at Columbia, where he was studying for a doctorate in German language and literature, to attend the opening – thereby forfeiting the degree. 7. In all, he was to write more than sixty plays, in addition to novels, stories, poetry and journalism. The plays were staged in the Americas and in Europe, in Yiddish or in German, Russian, Hebrew or English translations. They were performed by leading actors of the day, including Stella Adler, Menashe Skolnik, Ida Kaminska and Annie Tomashefsky. 8. His work dealt with issues of the common working man, with Jewish legends, Biblical characters, messianic figures and Israeli pioneers. He was the first president of the Yiddish PEN Club. 9. In 1916 he became a member of the central committee of Poale Zion, the labor Zionist movement. For a time he edited its journal and its two daily newspapers. 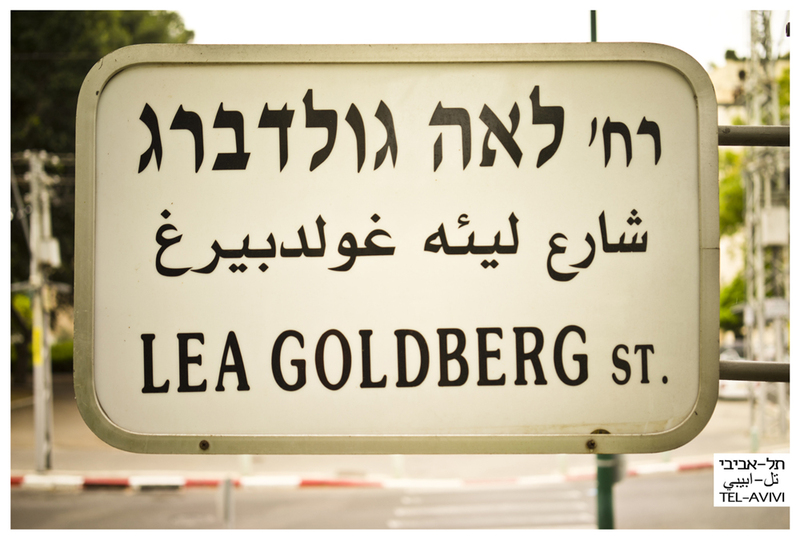 He founded the Farband, a Labor Zionist organization, and served as its president from 1919-22 and 1933-48. 10. In addition, he was president of the Jewish National Workers Alliance in 1920-22, and he served on the board of HIAS (Hebrew Immigrant Aid Society) through most of the 1940s. From 1930-53 he was president of the Jewish Culture Society. 11. In 1938, one of his plays, concerning the adulterous love between two people, was adapted into a movie: “The Singing Blacksmith,” starring Moishe Oysher and featuring the first film performance by Hershel Bernardi. 12. In 1949 he emigrated to Israel. He continued writing, though Yiddish was by then in great decline. His home on Mount Carmel became a gathering place for young writers. 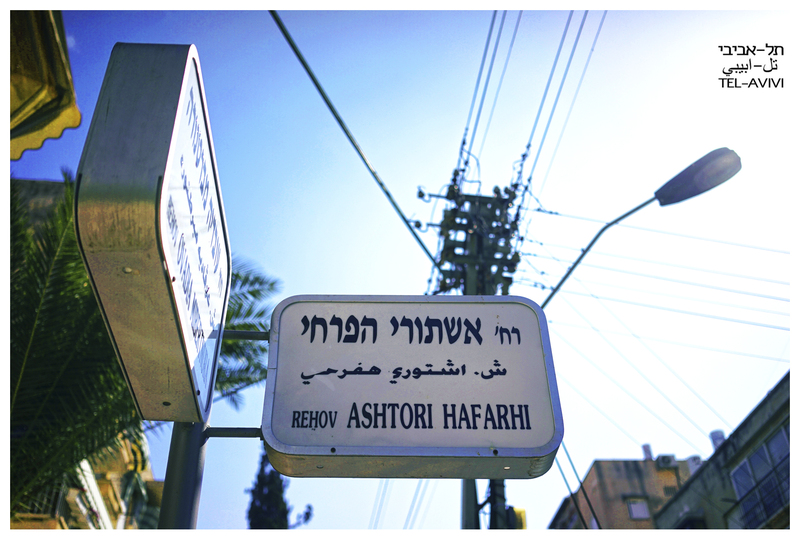 He died there, in Haifa, in 1959. 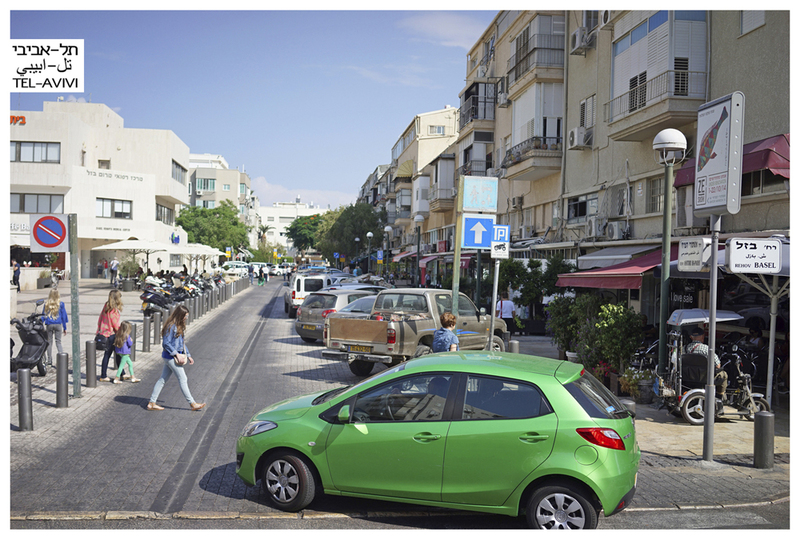 In Haifa, You’ll find Pinsky Street just west of the Haifa Auditorium.